There was a time when Pakistan was on top in many sports in the world like Hockey, Cricket, Squash but after that Pakistan seen downfall in most of Sports in past years which is still continuing. But you will be surprised to know that Pakistan has now become Asian champion in three big sports Hockey, Cricket and Kabaddi at same time. Pakistan won Cricket Asia cup 2012 few months back by beating Bangladesh in the final. 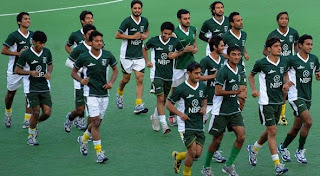 After that Pakistan beaten India in Kabaddi Asia cup final and today Pakistan has beaten India in final of Asian Champions trophy which means Pakistan is now Asian Champion of all of these sports at same time. It is indeed a great sign for sports in Pakistan and it is also a message for us that we can again go on top in all sports if we give proper importance to department of sports in the country. Pakistan has never lacked talent in sports but we always lacked management which became cause of our downfall in different sports.